Higher education in India is in the process of change at several levels. This assumes importance as India is home to about 600 million people under the age of 25 years. Needless to say, the existing system is not capable of dealing with the pressure and is in desperate need to expand. The country’s young population has an immense appetite for education and with the rising middle-class, an increasing number of this young populace are now able to pay for it. Apart from the demographic dividend, India will also have the second largest number of graduates by 2020, behind China and ahead of the USA. The Organisation for Economic Cooperation and Development (OECD) predicts that in 2020, 200 million of the world’s 25- 34 year olds will be university graduates and 40 per cent of these will be from China and India, representing a huge proportion of the global talent pool. The government has massive plans for revamping higher education in India which includes a complete overhaul of several aspects in the next five years. Prominent among these are quality assurance, international collaborations and new teaching methods. What remains to be seen is how these plans translate to ground realities. At the WES 2014, experts got together to deliberate upon the various facets of higher education in India and helped create a better understanding of the intricacies that exist in this domain. Here is a glimpse of the sessions and the moot points the eminent speakers touched upon. From 20 universities and 500 colleges at the time India attained independence, higher education has developed into a large system. In a scenario where expansion is rapid and keeping up globally is a challenge, there is a need to deliber- ate upon and address the concerns of the quality and relevance of higher education in Irom 20 universities and 500 colleges at the time India attained independence, higher education has developed into a large system. In a scenario where expansion is rapid and keeping up globally is a challenge, there is a need to deliber- ate upon and address the concerns of the quality and relevance of higher education in India. Speaking in this context, Dr. Sandhya Chintala, Vice President, NASSCOM, noted that the higher education system will need to employ 150 million people to deal with the huge number of students that will be entering into the system. “Both the supply side – formal and non-formal – will require skilled workforce. 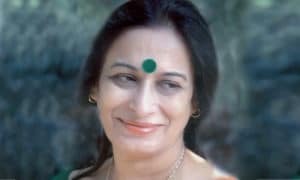 That is why we have organisa- tions like the National Skill Development Corpora- tion,” she said. Examination marking is a crucial but time- taking and costly process. 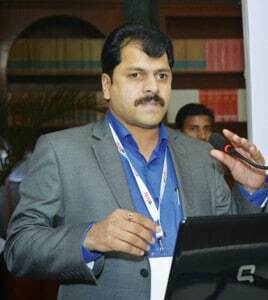 NC Jain, Head-Business Development, Newgen Software Technologies Ltd., explained how the Newgen On-Screen Marking System is revolutionising examination marking. This solu- tion, built for effective management of the life-cycle of answer scripts accumulated from examinations automates the traditionally man- aged examination evaluation system, thus enhancing the efficiency and effectiveness of marking processes. “It combines automation and high-specification technology to de- liver a flexible and high-specification technology to de- liver a flexible and powerful marking solution. Its benefits include ensured quality marking and significant saviings,” he said. Accreditation shows where we stand as educa- tional institutions, said Prof. P Rameshan, Direc- tor, IIM Rohtak. “Today, we have global aspirations. One manifestation of brand identity is customer acceptance. Today, we have to see students accept- ing us as customers. Social media is playing a key role in achieving this. It goes without saying that staying up to the mark is very important. ICT is in- dispensable,” he observed. 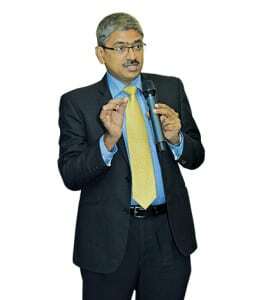 Evaluations are high stakes as errors lead to a huge reputation risk, Nagendran Sundarajan, Ex- ecutive Vice President, MeriTrac Services pointed out. He believes that On Screen Marking (OSM) is the way to transformation. The concept, however, is not new to India, he informed. “The largest central board in the country adopts OSM for 10th and 12th standards, a large technical university leverages OSM to streamline the evaluation process and doctors at a medical university use OSM to evaluate answer scripts from campuses across various countries. One of the largest distance educa- tion universities uses OSM to evaluate internal assessments and term-end exams,” Sunda- rajan noted. Considering the fact that not many students are fi- nancially in a comfortable posi- tion to pay for revaluation, OSM offers a healthy solution due to its flexibility and accuracy. With the rapid warming up of educational and techno- logical links globally and the commendable rise in the institu- tional capacity, there is an equal need to look at transformative practices and the ways and means for improving the qual- ity of higher education in India. 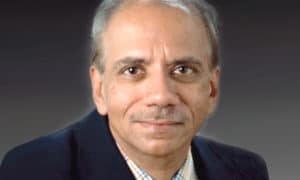 “We need to expand higher education to a much greater level and take up innova- tive measures for the same,” said Prof. Furqan Qamar, Secretary General, As- sociation of Indian Universities. “We started looking at idea at values and character of our students,” said Dr. Akshai Aggarawal, Vice Chancellor, Gu- jarat Technological University. “We took up something that we had done previ- ously with SBI – The Contributor Person- ality Development Programme, which, like an e-learning model, is an online ac- tive guide,” he added. Recognising and working towards bridging the huge skills gap between what our institutions produce and what the industry requires is the need of the hour. 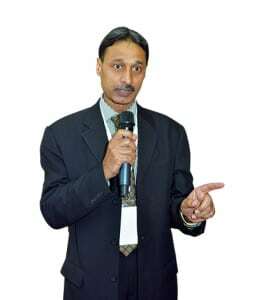 “Need for Skills Development has been recognised across the spectrum of employers, policymakers, educators and youth, and for raising the employ- ability of the youth from 15 per cent to a respectable level, skills development is a must,” said Paresh Joshi, Academic Director, Station-e Info Services Pvt. Ltd. Talking of Station Language Lab, one such offering, Joshi noted that their Station-e Skills Development Centre (SDC) had emerged as a one-stop solu- tion across India and that it could be established at college and university campuses to cater to the need for em- ployability skills. You can teach a student a lesson for a day, but if you can teach him to learn by creating curiosity, he will continue the learning process as long as he lives. It is this belief that is driving Mahendras towards preparing able and future-ready individuals. “Our future projections in- clude pan-India expansion of over 200 branches by 2015, online classrooms by August 2014, tab facility for every stu- dent of Mahendra’s by July 2015, speed test facility for students on their mobiles and e–books, M.I.C.A and putting study material on the Internet by December 2014,” informed Akash Jain, Manager- IT, Mahendras Educational Pvt. Ltd. In many ways, the onus of transformation and taking education to the next level rests with the leaders of respective institutions. “The fact that even a world renowned institute like Harvard is trying to revamp its syllabus says a lot about the need to revamp,” said Prof. Sunaina Singh, Vice Chancellor, English and Foreign Language University, Hyderabad. “We need to have national and international collaborations. We need a monitoring mechanism and ground breaking research,” she added. She further stressed upon the need for academic auditing and determining whether the student community is globally competitive. The use of technological tools for improving the quality of education is a concept that we get to hear often. The right use of these technologies can undoubtedly transform the teaching-learning process. 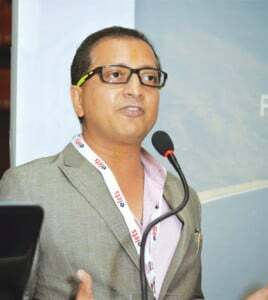 Amit Mahensaria, Co-Founder, Impartus Innovation Pvt. Ltd. spoke about how videos are driving excellence in education. “Education, especially higher education has not seen the extensive penetration of technology unlike other domains of our daily lives such as banking, healthcare, retail and communications. In the past 5 years, lot of technology companies focussed on education are doing exciting work globally,” he said. The adoption of technology in educational practices is set to increase with time. There is a belief that with the growth in scale of institutions and multi-campus models, there will be an increasing demand for streamlining and controlling processes. “Technology solutions in the form of campus management software packages will gain ground. Even course management tools will become prominent among faculty for efficiently organising their classes,” observed Puneet Kumar, CMD, Nysa Communications. 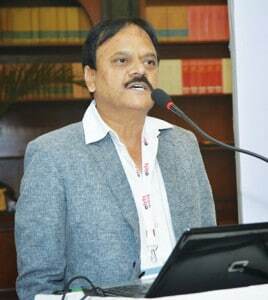 Underlining the limitations of traditional programmes, Prof. (Dr.) L. N. Bhagat, Vice Chancellor, Ranchi University said, “Skill development programmes and technology are a must”. Capacity building is an issue that poses a huge challenge for India. Japan has 4000 Universities for its 127 million people, the US has 3650 Universities for its 301 million people; and India only 675 Universities for its over 1.25 billion people, informed Prof. VPS Arora, Vice Chancellor, Supertech University. “Indian GER is about 19 per cent against 83 per cent for USA,” he said. Speaking of the challenges that private universities in India are faced with, Prof Arora pointed to several issues that included providing affordable, good quality, and globally relevant education, stifling regulatory overhang, multiplicity of approval regimes and tyranny of agencies often unleashed on the private entrepreneurs, long gestation period between the issue of Letter Of Intent (LOI) and the start of academic activities, resulting in time and cost over run, plethora of clearances, quotas imposed in admissions and employment, shortage of quality faculty and the ‘not for profit’ concept. “The way forward requires single window and time bound clearances, level playing arena to private universities, cut in number of statutory bodies, autonomy in governance, periodic third party audit of education quality in private universities and single accreditation body at the national level with empowered regional units,” he elaborated further. It has been widely understood and accepted that the huge requirement for higher education cannot be met by setting up institutions in the public sector. “Some of the best universities in the world – Harvard, Yale, Stanford, MIT – are private. The only way to meet this demand is encouraging setting up of private colleges and private universities,” said Prof. G. L. Datta, Chancellor, Koneru Lakshmaiah Education Foundation (K L University), indicating the opportunities for private universities. “We have to create top level private universities which would have vision, autonomy and innovation. Government should come up with policies which can boost private investment in higher education,” he added. Scientific research is one of the key driving factors for any diversified, strong economy. In India, there is a need for encouraging creativity and original thinking across universities. Technology has grown by leaps and bounds in the past few decades and so has its understanding worldwide. There are ways that institutions of higher education in India can put technology to good use for research and innovation and in the process foster better learning. “It’s not sufficient to understand what’s taught in a class. We need to absorb, assimilate and reproduce that. The teacher and student need to connect. It can only happen if you have the correct acoustical environment and architecture,” said Naresh Duble, DGM, Training and FMD, Armstrong. Discussing how acoustics can enhance the quality of higher education in India, he said, “Background noise and reverberation time are the two main aspects as far as acoustics goes. We have a nice instrument which can distinguish sound once it comes back to it after .5 seconds”. The instrument can help back-benchers and people with hearing impairment as the results tend to improve dramatically. Technology and its use has swept all sectors off its feet and education has not been alien to it. In today’s time and age, educational institutions need to concentrate more on quality of education and thus need tools that can help them deal with processes such as admissions, examinations, affiliations etc. 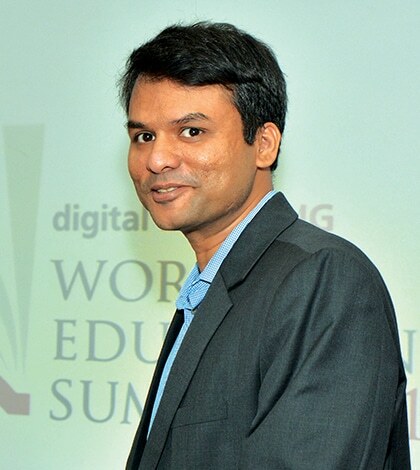 Stressing upon creativity in education automation, Brijesh Nigam, Managing Director, Iterate India Pvt. Ltd. observed how creativity could reflect with good vision. “Automation of a university can happen only when you have some controlled systems. It is a system full of checks and controls and at the same time user-friendly,” said Nigam, adding that a good system increases efficiency and results and that a wide range of topics can be applied for automation and transparency. “This is a social responsibility. 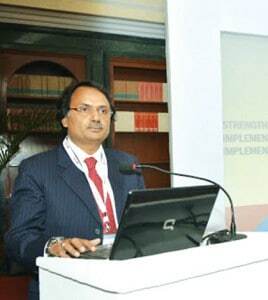 Also, delivering results takes lesser time and access to information is fast and accurate,” Nigam informed. Creative automation covers many areas including student admission and registration, centralised examination and evaluation system, online mark sheet and degree printing, online fee deposit, accounting with computerised cheques, HR and administration data management etc. The use of Information and Communication Technology (ICT) at institutes of higher education has the potential to take it to the next level. The use of these tools is slowly catching up in India and through some interesting models. Abhishek Pandit, Director AISECT, C V Raman University, spoke about how their initiative Radio Raman is bringing about a transformation. 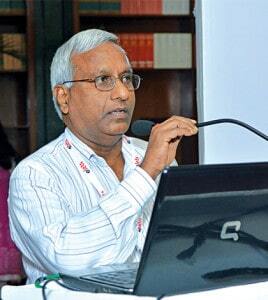 “Bringing in community radio as a tool for education in rural India, we record classes and air it in rural areas. In fact, we have distributed free radios so that they can access our programmes. Moreover, we also have literacy programmes,” he said. To make the process interactive, a telephone line and call centre have also been set up. “To our surprise 50,000 students are going through our live video lectures. We have started programmes that are vocational, and are completely in line with NSQF. It has been a successful model,” Pandit further explained. The quality of higher education in India has been a cause of concern for quite some time now. The recent Shanghai Rankings, where no institution apart from the IISc could make its mark is sufficient indication of where things stand today. 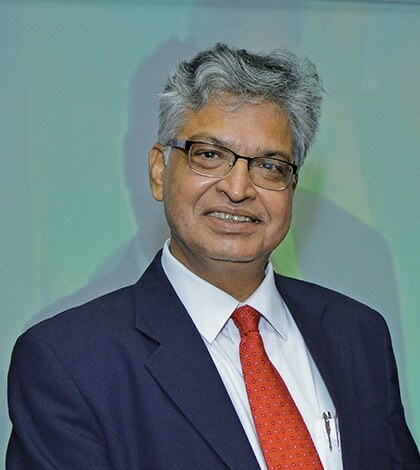 “The global world throws a challenge,” said Prof. K P Mishra, Vice Chancellor, Nehru Gram Bharati Vishwavidyalaya. “When ranking of universities come, Indian universities don’t stand anywhere. The primary reason for this is that there is hardly any innovation in universities and no research in higher education. 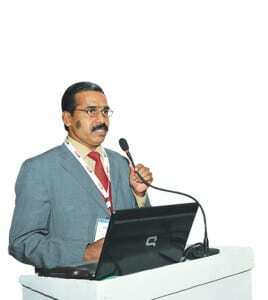 Our research output is less than 5 per cent,” Prof Mishra pointed out. With urbanisation and the rapidly changing job market, it is becoming increasingly important to link education with employability. The use of technological tools in education, as a result, are becoming crucial for improving skills and meeting industry requirements. Moli Diva, Deputy Head of English and Foundation Studies, Australian College of Kuwait, observed that getting students in the interactive mode in classes can enable them make use of technology – like the Internet on their mobiles – to enhance upon their skills. “I have seen cases where students found innovative ideas with ICT and contacted organisations to create opportunities to earn money,” she said. Education, however, is a process of long-term investment and takes a considerable amount of time before one can be called employable. “Is India ready to afford the cost of education in terms of international standards? However, if you consider the benefits of acquiring that education, they are far larger. In fact, employment is one economic benefit of higher education, as it helps a person attain better economic status. 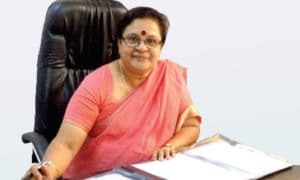 Moreover, are we just taking care of need-based systems or are we considering value-based education?” asked Dr Halima Sadia Rizvi, Head of the Department of Economics, Jamia Millia Islamia. With steep rise in demand for skilled professionals, it is important that students have a vision for their achievements and stay ambitious. This, feels Rajiv Kumar, President, Amar Parkash Educational Development Society, is lacking in students today and can be addressed by making learning enjoyable and interesting. “Students lack a goal and we need to raise their levels of ambition. Taking this a level further, education should be practice-oriented. We have to teach students with help of simulation, animation, video and graphics. There is sufficient material available on Youtube,” he said. On the importance of good teachers in this process, Kumar said, “We have to give our teachers exposure to industry so that they can help students become employable and vocational studies should be compulsory. Admission should be on interaction basis – we have to know the student’s interest”. There is often a mismatch between what the colleges teach and what the industry requires. More than ever, there is a need to put the focus on an interactive and collective arrangement between academic institutions and the business cooperation if we are to meet mutually inclusive goals and objectives. “Academia has not geared up to face the challenge of translating the evolving idea into a technology. A support system is needed to ensure a focussed involvement of both academia and industry and venues should be created for close interaction starting from conceptualisation down to commercialisation,” observed Prof. (Dr). 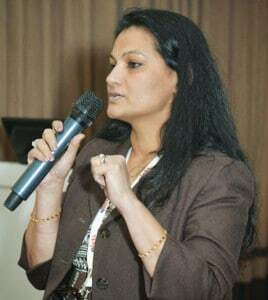 Priyanka P V, Director, C.N.K. Reddy College of Management, Bangalore. “Technology in this scenario will be the key enabler,” she added. Several experts, surveys and reports have pointed to the growing mismatch between the job requirements and the employability quotient of technical graduates. 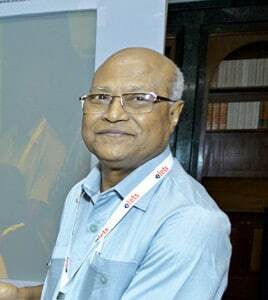 India today produces some 1.5 million engineering graduates a year, most of them in what we call ‘circuit branches’- computer science, IT, electronics and electrical engineering, said Dr. G. R. C Reddy, Director, National Institute of Technology, Goa, adding that about 75 per cent of these graduates are unemployable as graduate engineers. “The reasons behind this shortfall is that both government and private colleges lack teachers of appropriate scholastic standard. Again, this is so because bright students are not joining postgraduate programmes nor are taking up research/teaching as a profession,” he said. Quoting former President Pratibha Patil, Amitabh Akhauri, Sr. VP – HR, Jindal Stainless Ltd, drives home a similar point. “Unfortunately, as Pratibha Patil, former President of India said, ‘Its a worrying sign that even though the 3rd largest number of graduates in the world every year is produced in India, only 15 percent of our boys and girls passing out of college have the skills required to become employable! This brings in concerns that students are getting degrees, but not getting employable hands-on skills’,” he said. It is expected that the size of India’s education sector will increase to `602,410 crore (US$ 100.23 billion) by FY 15 from ` 341,180 crores (US$ 56.77 billion) in FY 12. “To deal with this scenario, we need progressive action and technological development on part of the institutes, students, industry as well as the government,” Akhauri added. 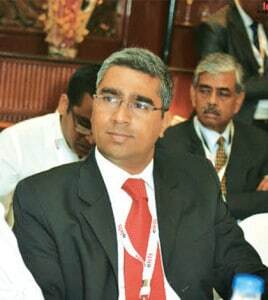 VSN Raju, CEO, Globarena Technologies Pvt. Ltd., took it a step further. While noting that the industry is not getting the right fit for their requirements and that it feels that only 10 per cent students are employable, Raju points to a deeper problem. “When a student is employed but ends up dissatisfied with his/her job, it becomes a problem cycle,” he observed. The academia can provide well-grounded students to the industry, he suggests. “Take for example Andhra Pradesh where we have more than 600 engineering colleges. We conducted video conferencing, videos and learning in seven colleges in seven districts. We have converted the entire engineering learning into e-learning, both for students and teachers. Everything has been loaded on the server. Today, we have prepared more than 500 students with the help of technology to be industry ready,” said Raju. Successive gatherings of educational leaders in various sessions have pointed to the changing scenario of higher education in India. As the pillars of higher education, the onus to bring requisite changes into the system now rests with these leaders. One thing that everyone seems to have concurred is that meeting global standards will require innovation, not just in technology, but also in the mindsets. Through various deliberations and brainstorming at the WES 2014, we have tried to bring these ideas to one common platform so as to aid in the betterment of educational standards. This, we believe, is in the interest of stakeholders and the future of the nation at large.